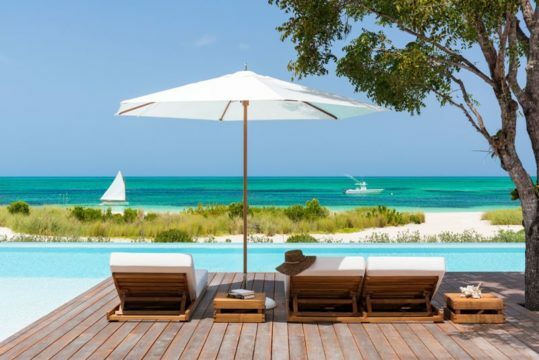 Serenity Villa appears to be the perfect name for this 8,600-square foot residence that just sold on Parrot Cay in the Turks and Caicos Islands. 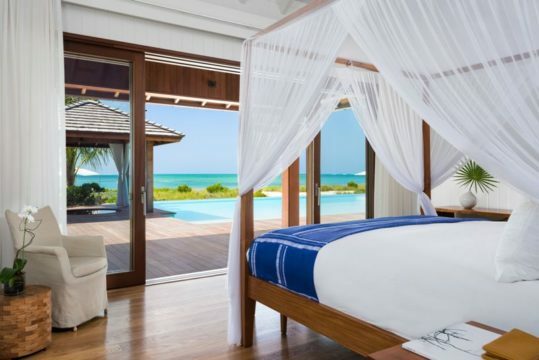 Serenity Villa is a four bedroom home set on a crescent-shaped beachfront. Serenity’s signature calling card is a wall-to-wall $17 million view. The architectural design places a premium on natural light and supreme indoor-outdoor living. The grand foyer offers floor-to-ceiling glass to maximize your connection with the Caribbean Sea. Step up to a second floor office that delivers an exhilirating 360-degree seascape. The Serenity Villa “loves company” amibance is evident in a guest house embracing island life amidst coconut and banana palms. 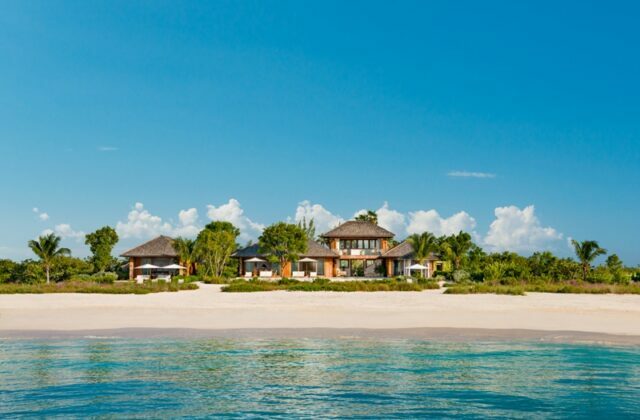 Outdoor amenities include an L-shaped infinity pool, cedar spa, and a cabana with a circular daybed. 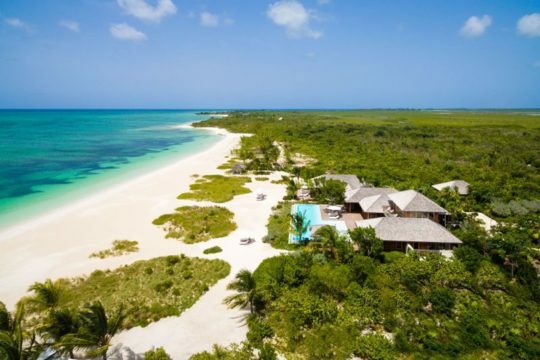 Serenity Villa on Parrot Cay just made a new owner very happy.